Many Boston Bruins fans, including myself, were a little bit stunned to see the news that Dave Goucher was heading out to Las Vegas. The news broke yesterday, along with news of the rest of the Vegas Golden Knights first ever broadcasting team. Dave will now hold the title of the first Las Vegas Golden Knights TV play-by-play broadcaster in the history of the organization. That has to be a tremendous honor. 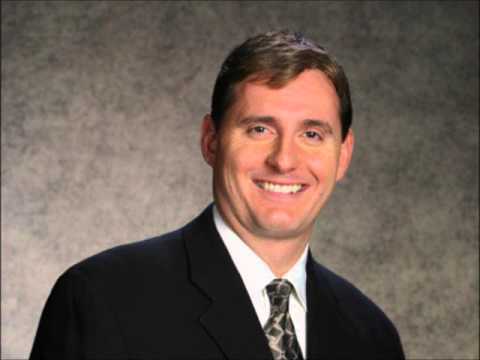 Dave has been the voice behind Boston Bruins play-by-play since 2000. On top of that, Goucher won the Massachusetts Sportscaster of the Year award two years in a row (2013, 2014). The search will now begin to find Bruins radio color commentator, Bob Beers, a new partner on the air. Dave Goucher is a Boston Bruins legend. Without any exaggeration, he is absolutely a legend, from “Get the Duck Boats ready!” to “Bergeron, Bergeron, Bergeron! In game seven! The guy has a voice as polished and smooth as a brand-new Ferrari. Golden Knights fans don’t know what they’re in for. They are so fortunate to have someone like Dave to call their games. Dave Goucher joined Toucher and Rich earlier today to talk about his newest broadcasting venture and to say goodbye to Boston. Optimism is certainly at a high level for Dave right now. From radio to TV, the adjustment will be seamless for him. “I think on my phone, I have 122 unread text messages,” he said. “The tweets that people have sent out have been unbelievable. I was scrolling through some last night, and that’s what does make it difficult. I hope people understand it’s been an honor for me to do this, to do these games with Bob Beers for 17 years. 17 years with Bob Beers. That has to be very tough to move on from. Goucher and Beers were excellent together on the air. Dave loves Boston, and he loves Bostonians. I attended a play-by-play sports broadcasting camp from 2012-2016 in Boston for one week a summer. Dave was there every year, and he was even there every for many years before I started attending the camp in 2012. Dave was a normal guy at camp. He would talk in-depth to anyone, answer questions and just hang out. I had the privilege of getting advice and talking about the Bruins for hours with Dave Goucher. He is truly one of a kind in my eyes and is one of the greatest Boston Sports broadcasters of all time. I can’t say enough good things about Dave, he has had a major impact on my future goals and my attitude. The camp is called the play by play sports broadcasting camps. It was easily the best week of my summer every year. Campers get to meet media members and broadcasters like Dave. Others include ESPN’s Mike Reiss and Field Yates, NESN’s Emerson Lotzia, and the legendary Jackie MacMullan of ESPN. That is just a few of the names, professional athletes attend once or twice a week as well. Boston Bruins radio broadcasts will never be the same without Dave. He was very deserving of this new opportunity and Bruins fans, and some hockey fans in general, have reasons to be happy for him. The man who will be alongside Dave Goucher on the AT&T Sportsnet Rocky Mountain broadcasts with the Golden Knights is this guy who’s called the sheriff. Oh you know, just former Boston Bruins defenseman Shane Hnidy. Hnidy earned the nickname ‘Sheriff’, so it’s fair to presume that he didn’t mess around on the ice and laid down the law whenever necessary. What an electric combination of broadcasting talent, with history in the same organization, the Boston Bruins. What an electric combination of broadcasting talent, with history in the same organization, the Boston Bruins. Unfortunately, Hnidy’s past with the Bruins isn’t as extensive as Dave Goucher’s. But, he does have broadcasting and TV experience out Winnipeg with the Jets on TSN Radio 1290. Shane was part of a broadcasting team for an organization that just recently resurrected, with the Winnipeg Jets, while Dave is going from an original six team that has been around for quite a while to a brand new franchise. Very interesting career paths for them. Best of luck to Dave and Shane together in their future endeavors in Vegas and beyond.